As I’ve mentioned in prior posts, every Easter my good friend, Kate, comes up from Geneva for a long weekend devoted to indulgent drinks and dinners, which always includes a visit to a swank hotel bar. This year we took our tradition to the Ritz for one last drink from world-renowned barman, Colin Field, before it closes for a 2+ year renovation on April 16. It’s difficult to separate the bar Hemingway from the man who’s been at its helm for the past 18 years. Always the consummate gentlemen, Colin’s charisma and charm are legendary. A few years ago, I took a Ritz cocktail course and learned more than I expected. Ironically in such a chi chi locale, I was reminded of how detrimental cocktail snobbery can be. In today’s craft cocktail network, it’s easy to fall into group think. “We hate vodka.” “We drink shots of Fernet.” “We wouldn’t deign to make a mojito.” But, Colin’s been in the business since before many of today’s cocktail rock stars were of legal drinking age. And, over the past decades, he’s developed his own approach to the profession, incorporating his beliefs about what a cocktail experience should be for the customer. So what I learned from him was not to start loving vodka. Instead, I learned to stop hating it just because every other cocktaillian did. In an era when prohibition style bars are de rigor and bartenders sometimes fall prey to seeking out hard to source ingredients just because every one else does, my interactions with him reminded me that to have a more comprehensive understanding of the world of cocktails, it must be examined through its history and future possibilities as well as the current cocktail trends. Along with the Ritz, Colin has built himself into a brand that goes beyond just the business of building a cocktail. Soon we’ll be able to buy the Colin Field watch, complete with his signature on the face for a cool 2,000 Euros. Bringing out his iPad, he showed Kate and I a picture of the time-piece and then signed a coaster and held it up next to the photo to compare. And this is the essence of Colin. He doesn’t just make a drink. He makes an effort to interact with his clientele. By the time I left, I also had the name and number of his dentist. In keeping with this interactive tradition, he’s known for creating concoctions that fit the mood, style and needs of a customer. So, instead of my usual martini, I asked him to create something for me. What I got was a Colin Field special: Grey Goose Poire, apple juice, a bit of citrus and a single red rose as a garnish. Even with an open mind, vodka is one of the last spirits I’d pick from the shelf, so I was much more interested in Kate’s drink: the Ciboulette cocktail (cognac, apple liqueur, lemon juice, and griotte cherries with a champagne topper) Why would this drink that has nothing to do with chives be called ciboulette (French for chives)? Before I even wondered myself, Colin told us that it was the name of the pet bunny belonging to the man who created it. I’ve never been shy about stating my opinion that many luxury hotels charge unjustifiably high prices for a drink. But I was happy to pay the price last night to raise a glass to a venerable barman. Because even though vodka is not my spirit of choice, a lot more went into my drink than just the booze. And if you want to partake in a bit of the history that is the Ritz, make haste because they close next week. Did he mentioned what he’ll be doing during the travaux ? Or if he’ll be coming back when it’s done ? he’s got a few possible project offers, but nothing set yet. And, i’m not-anti vodka. I just don’t know enough about it to have strong opinions and, as you know, i’m a gin lover and like mixing with it. Hey Forest – are you sure it’s closing April 16? I called the hotel and they said they would close August 1 and everything was meant to stay open until then. Is the bar different? Thanks so much for this piece, Forest! Although I’ve been to the Ritz a couple of times, I’ve never been to the Hemingway bar, and so thanks to you, I’m finally getting myself in gear and heading there tomorrow night to check it out before it closes! And on the topic of the closures, I spoke to the Press Contact at the Ritz in February and she said that they were closing in Autumn but they didn’t have exact dates yet. I get the impression that they don’t know everything yet and can’t communicate much yet either – so I take your last piece of information on the April bar closure as good insider info! 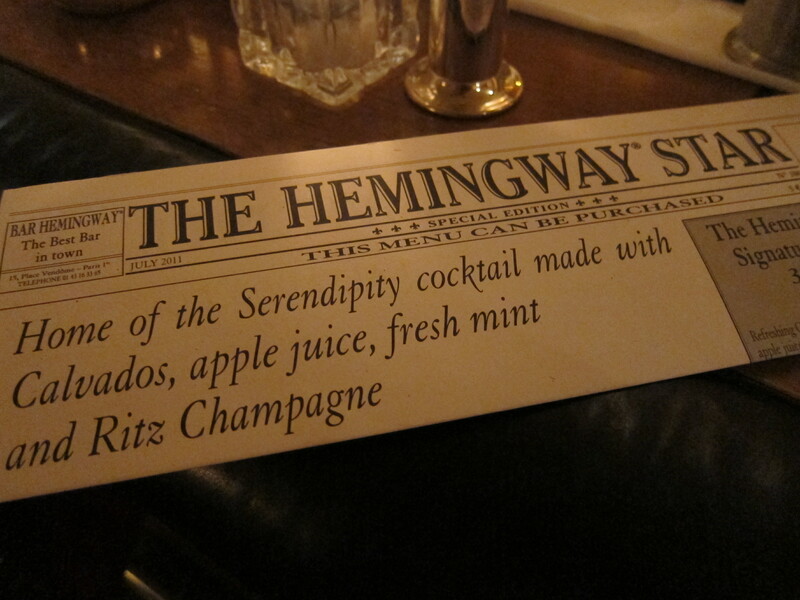 Yes – we too enjoyed that special cocktail at the Hemingway Bar! Glad we got there before it closed for renovation. what i hate about the vodka craze is that vodka cocktails make my stomach sick, i can’t help it! ha ha….columbine, you are not alone! 🙂 And, I think I know you’re not a fan. As you know, I prefer the whole gin craze. But I will, as a good spirits writer, at some point in time take more of a look into it as a spirit – maybe I”ll find something that will surprise up both. I just feel like I only have so much time (and so much liver) that it’s hard to focus on everything! It really is the end of an era and I’m so happy that my favourite cocktail goddess got last orders in at the Hemingway Bar before it closes. Thanks Maria – you’ve got some gorgeous pictures on your blog as well! Milla: I thought about you when going and thought it was a shame you’re not here anymore otherwise would have tried to drag you along for it! 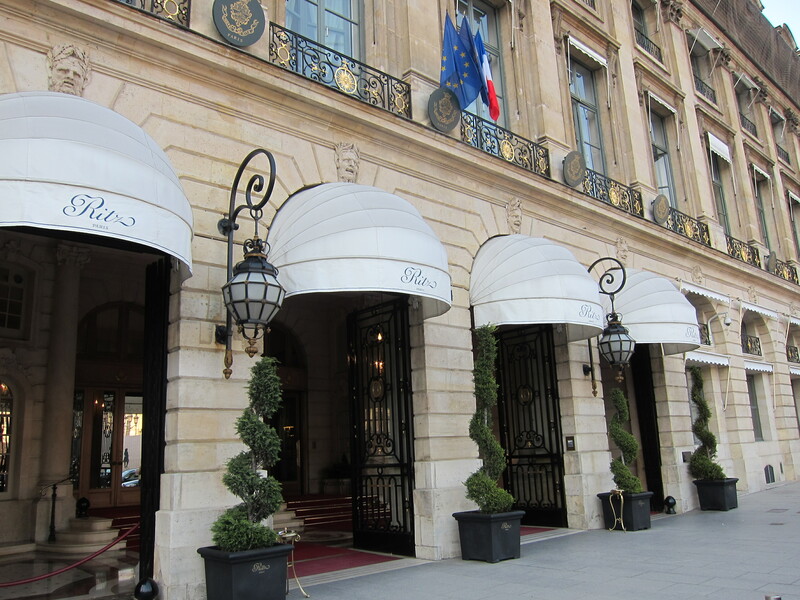 just discovered these wonderful posts…can anyone who is familiar with the Ritz tell me if the Bar Vendome is worth going to as a backup? thanks for the kind words, William. As for the Vendome, I usually go to the hemingway or the one just across the hall, so hard for me to say about Vendome. What exactly are you looking for? 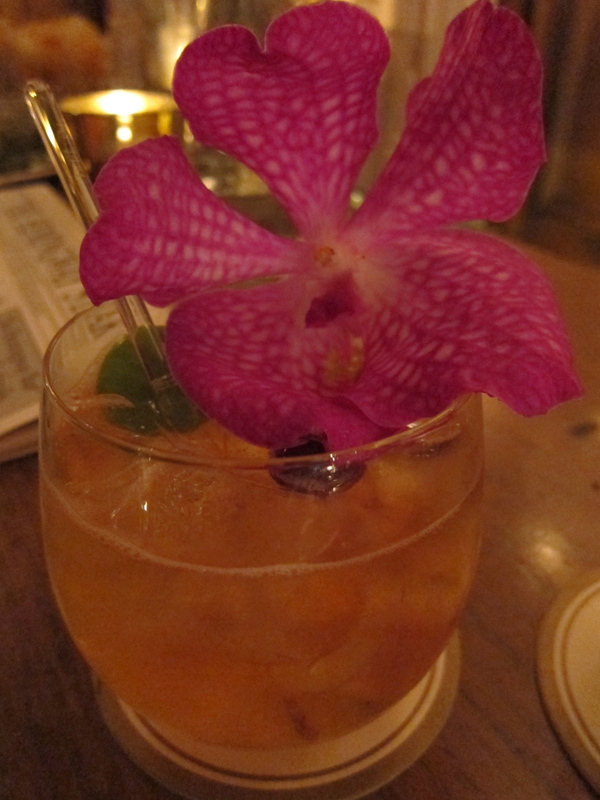 if it’s excellent cocktails in a high end hotel locale, you can also try the Park Hyatt just around the corner. otherwise, if you have more specific hotel requests, give me the details and i’ll tty and give you a good rec. thanks for the reply…we just enjoy the idea of the Ritz….I think we will go there anyway and prowl around….it isn’t so much the drink but the venue! I wonder what they could possibly be doing to a bar to have it close for 2 1/2 years?? I will enjoy seeing your further posts! Hello! I love very much the Hemingway Bar. In fact, I wrote a suspense novel about it. There is any possibility that I can use this image for the cover of my book? I want to know if this image have some copyright or if I can you it freely.